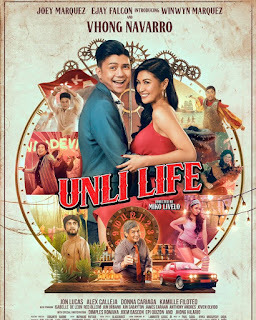 A romantic comedy film written and directed by Antoinette Jadaone. 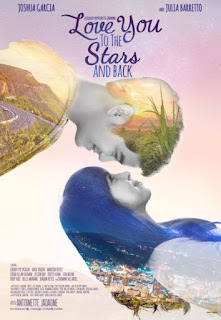 Starring Julia Barretto and Joshua Garcia. Love You To The Stars And Back is produced by Star Cinema and its releasing date on August 30, 2017 in cinemas nationwide. Mika (Julia Barreto), a socially awkward and eccentric girl decided to search for alien life form after the death of her mother. While on the road she meets Caloy (Joshua Garcia) a boy who is travelling by his bicycle. She accidentally hit him while running away from hence she decided to give him a ride until wherever place he wants to be dropped off. And their journey begins, during their road trip, Mika explained to Caloy her journey of alien searching and got him interested. Knowing each other as they travel. Both will locked loved as they go. Until Caloy reveals to Mika about his condition. The two will experience life’s adventures making memories at their young age. Discovering love and life to be treasured for a lifetime.